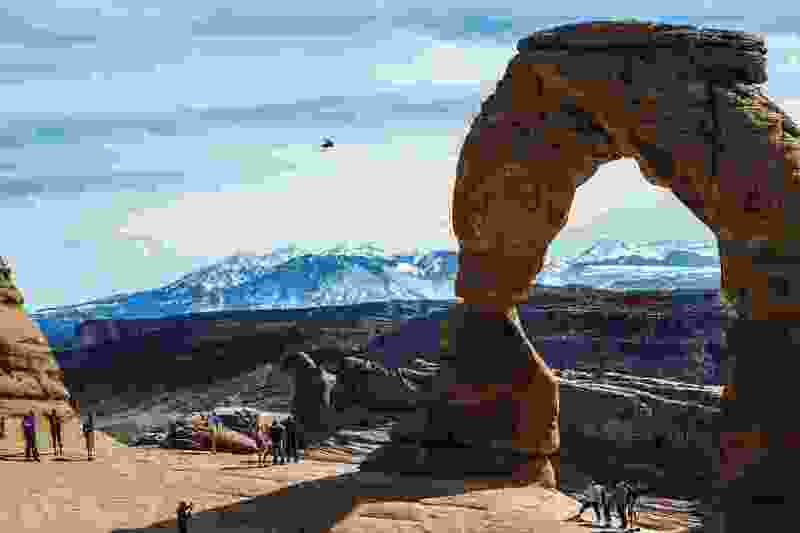 (Chris Detrick | Tribune file photo) Visitors take pictures and hike around Delicate Arch in Arches National Park in 2016. Few things are more frustrating to a visitor than looking forward to seeing a famous place but not being able to get there. That has been the case at the Delicate Arch at Arches National Park for many years. Tourists are often prevented from visiting what is perhaps Utah’s most iconic sight due to summer flash floods that close the Wolfe Ranch-Delicate Arch Road. Arches National Park just received permission to excavate and remove sediment from the Salt Valley, Salt and Winter Camp washes as well as clear 54 acres of invasive tamarisk to help solve this problem. Park officials say that all 15 culverts installed under the road at the three-wash crossing have filled with sediment and are not working. According to the park, closing the flooded road, assisting stranded visitors and removing sediment and debris have required substantial efforts by park staff and inconvenienced scores of visitors. These incidents often close the roads for several days. The tamarisk, a nonnative shrub, has clogged wash channels and made problems worse by interfering with the natural flow of water. The project will take place this month through March and from September through March 2019. Road, parking or trail closures are not expected. Sediment will be disposed of on site in areas selected to avoid impacts to native vegetation.